Giovanni Michelotti (1921-1980) was one of the most prolific designers of sports cars in the 20th century. He was also responsible for a number of saloon cars and truck cabs. Born in Turin, Italy, Michelotti worked for a number of design houses, notably Vignale, before opening his own design studio in Torino in 1949. He influenced numerous car designs, including a number of Triumphs, the Maserati Spyder, BMW 700, Alpine A106, DAF 55, the Leyland P76 and the Reliant Scimitar SS1. One of his first was the Lancia Aprilia Coupé. From the late 1950s he was responsible for all new models produced by Standard Triumph, starting with a facelift of the Standard Vanguard and going on to design models for Triumph such as the Herald, Spitfire, GT6, TR4, 2000, 1300, Stag, and Dolomite. 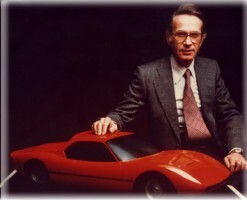 He also created a number of prototypes which did not go into production, such as the Fury. The only Triumphs after 1960 that were not his work were the TR6 and the TR7, plus the Honda-based Acclaim. After Triumph became a part of British Leyland, Michelotti undertook a facelift of the BMC 1100 – which became the Austin Victoria – and designed the Leyland P76. 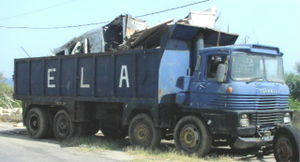 In the 1960s, Michelotti designed a glass-reinforced plastic (GRP) cab for certain lorries made by Scammell, who had become part of Leyland in 1955. The cab was used for the Routeman, Handyman and Trunker models. Michelotti also worked with the Dutch firm DAF, starting in 1963 with redesigning the ageing Daffodil 31 model into the Daffodil 32. The DAF 44 (1966) was a completely new design from his hand and he also helped form its derivatives, which culminated in the Volvo 66 (1975).